NEW CITY—In four years, Rockland County government has gone from having approximately $42,000 in the bank and $138 million in debt, to being in the black with a fund balance of more than $6 million. 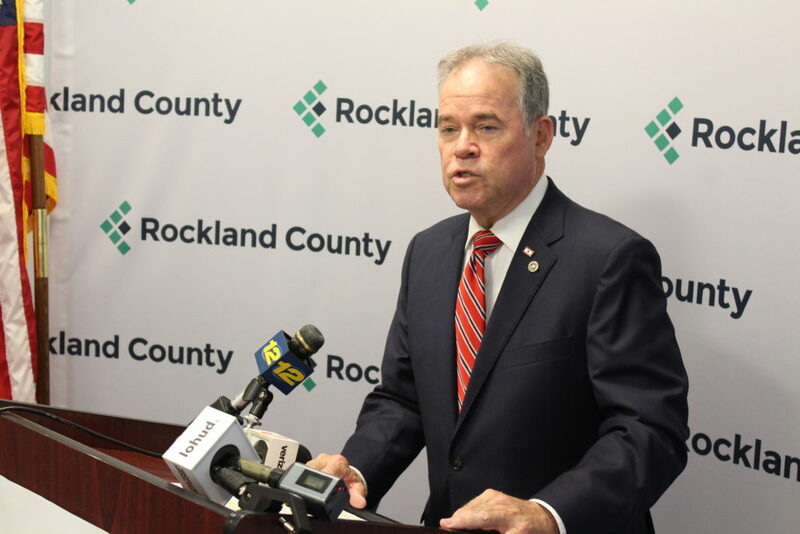 Rockland County Executive Ed Day announced the positive budgetary news relating to the county’s just released Comprehensive Annual Financial Report on Rockland County’s finances from 2017. He was joined at the June 29th press conference by Rockland County Commissioner of Finance Stephen DeGroat, Budget Director Steve Grogan, Assistant to the County Executive – Fiscal Bob Bergman and Minority Leader of the Rockland County Legislature Lon Hofstein. Marks Paneth, the outside auditors for Rockland County, released the 2017 Comprehensive Annual Financial Report later that afternoon. That report detailed the fiscal turnaround of Rockland County’s finances since 2014. The County Executive shared credit for this financial improvement. “It was only with the help of our dedicated employees, department heads, commissioners, unions and the Rockland County Legislature that together we have been able to accomplish so much in such a short amount of time,” he said. County Executive Day took office in 2014 facing a $138-million deficit and with the cooperation of the County Legislature took out a $96-million deficit reduction bond. Rockland must make an approximately $13.5-million payment on this bond every year until 2023. “We made the hard choices and after four-and-a-half years they are starting to pay dividends. But this struggle is not yet over, while we hit a huge benchmark and are finally ‘in the black,’ we have a long way to go until we reach full financial strength. General government accounting principles demand that we have a fund balance in the area of $50 million to truly be a fiscally healthy county. I look forward to continuing to work together with my colleagues from the legislature as we look to grow this fund balance through continued careful budgeting and smart compromises that will help Rockland County prosper,” County Executive Day said.